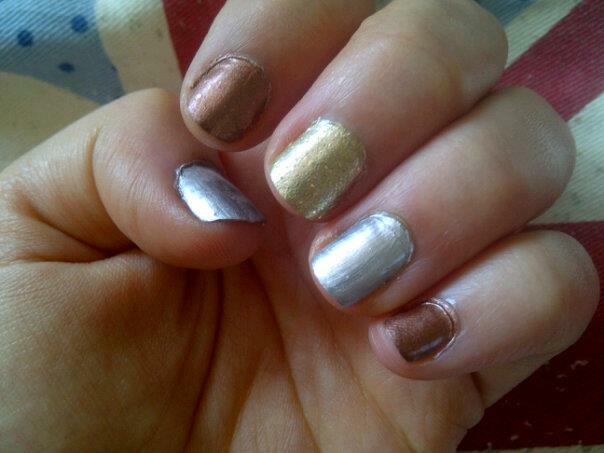 Meg's Boutique: Olympic Inspired Nails- Medal Metallics! 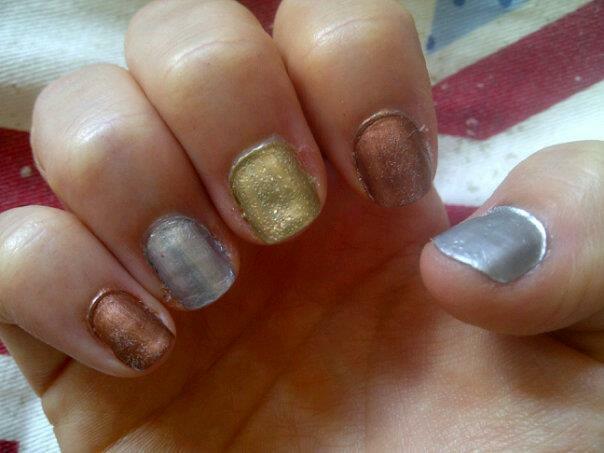 What do you think of my medal metallic nails? Have you been enjoying the Olympics? As I said I've had another nice day cheering at the TV and chilling with my boyfriend, then tomorrow we should hopefully be having a day in London as my boyfriend wants to see Batman at IMAX and I really want to go to the new Victoria's Secret! What a great way to show support for the Olympics! I'm literally glued to the olympics, especially gymnastics, swimming and diving! In love with Louis Smith from the gymnastics team haha. 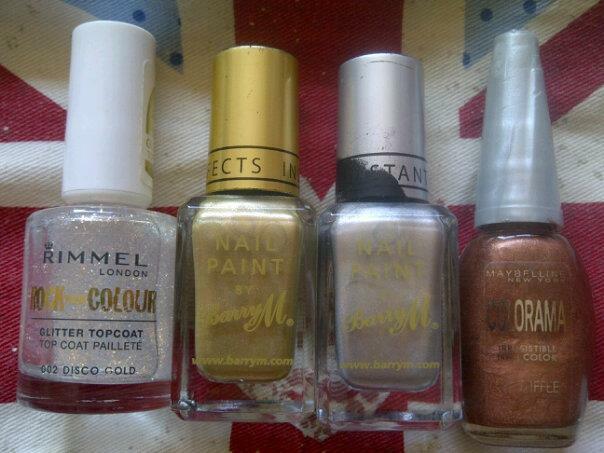 Love your nails, all the colours look so good! they look great hun, great post!!!!!! :) i have a new post about cheap online shopping if you get a sec to take a look, would love to know what you think!! I love the colours, very pretty! 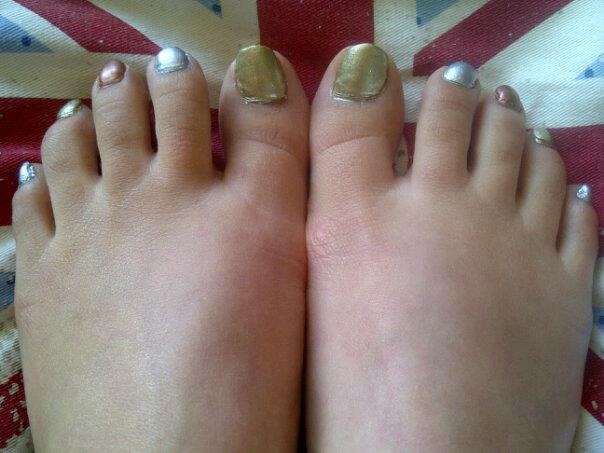 The metallic nails look nice.